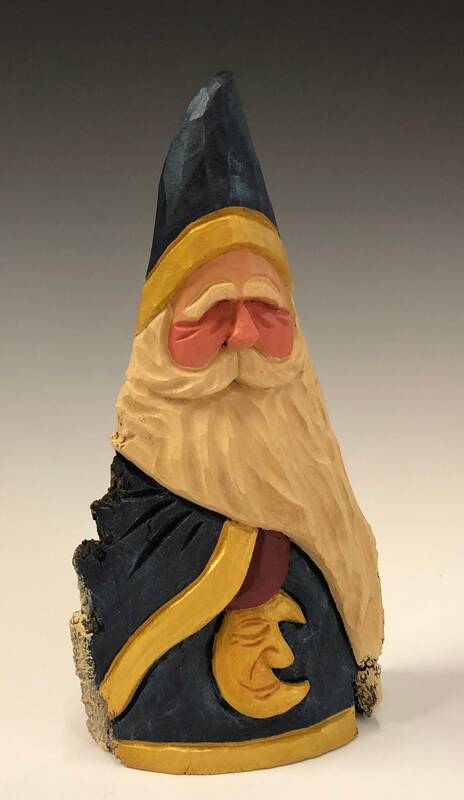 HAND carved original 9.5 tall blue Santa with moon from 100 year old Cottonwood Bark. 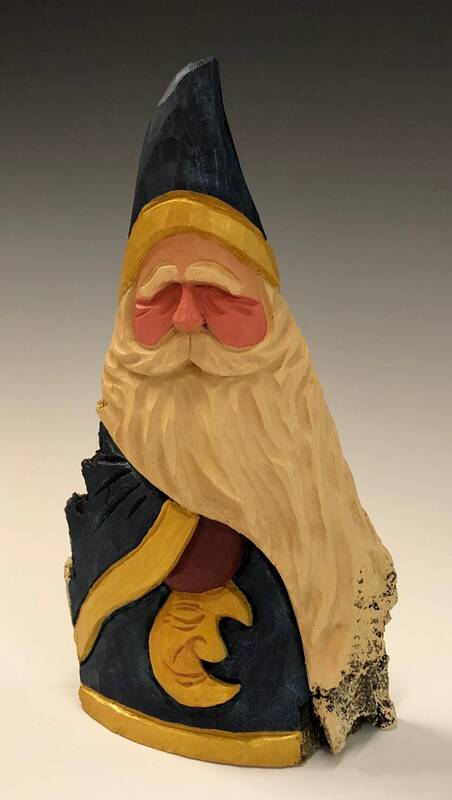 HAND carved original 9.5" tall blue Santa with moon from 100 year old Cottonwood Bark. 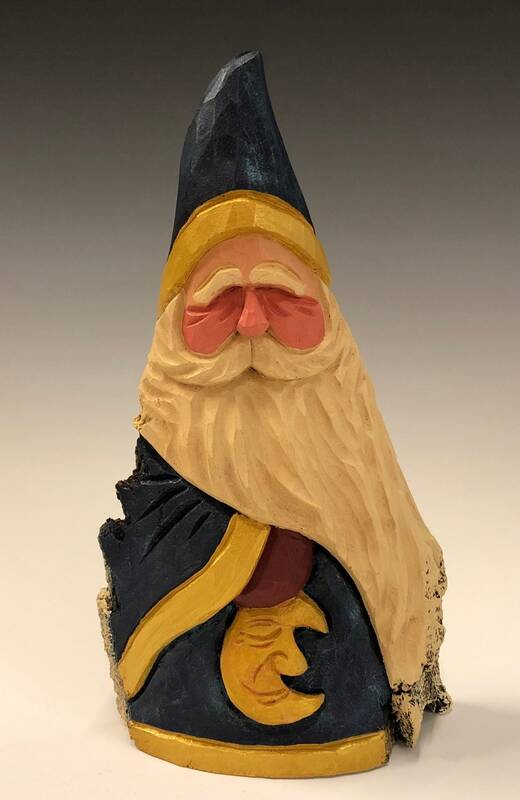 This piece is a hand carved blue Santa holding a moon from 100 year old cottonwood bark. 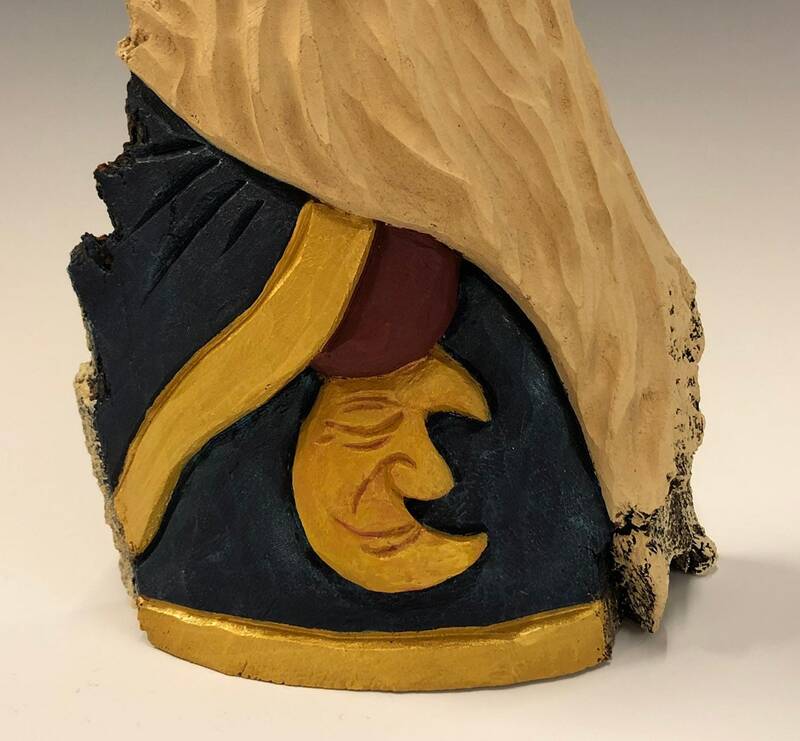 It is carved in free standing deep relief (flat on the back). 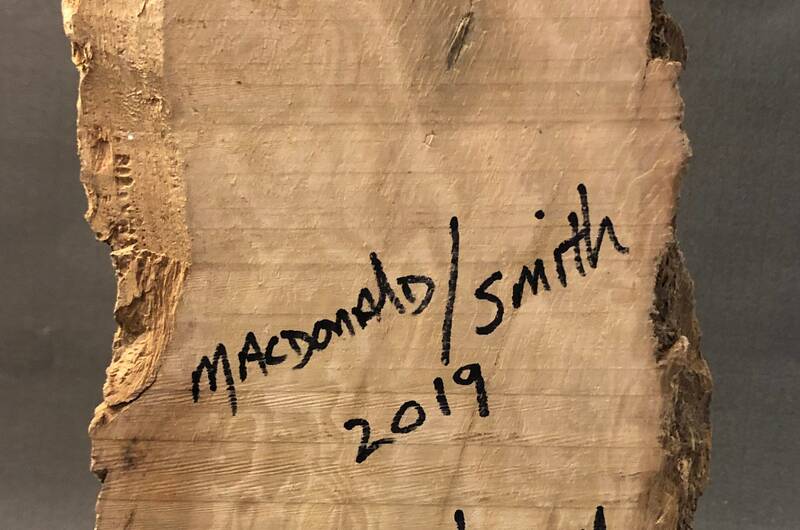 This makes it perfect for sitting on shelves and fire place mantels! 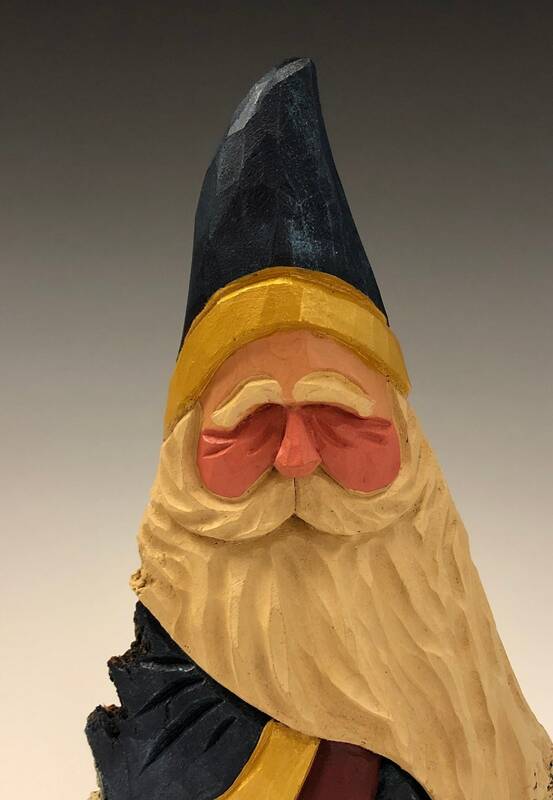 It measures 9.5" tall by 5" at the widest point.